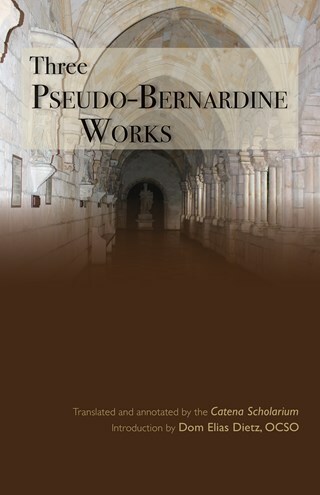 During the "Silver Age" of the Cistercians (the late twelfth and thirteenth centuries), pseudepigraphical compositions bearing the name Bernard flourished. Important for the history of monasticism and, more broadly, of Christian spiritual formation and practice, these little-studied writings interpret, appropriate, transform, and apply Saint Bernard of Clairvaux's authentic works, transmitting them to new audiences. Under the direction of Ann Astell and Joseph Wawrykow, with the assistance of Thomas Clemmons, a talented team of young scholars from the University of Notre Dame (the Catena Scholarium) offers here a complete translation of three of these Pseudo-Bernardine essays, providing notes that identify sources, clarify allusions, highlight rhetorical strategies, and demonstrate overall a fascinating, intertextual complexity. The Bernard that emerges from these texts speaks with many voices to herald a living, Bernardine tradition. Ann W. Astell is professor of theology at the University of Notre Dame. She is the author of six books on medieval literature and spirituality, including The Song of Songs in the Middle Ages (1990), Job, Boethius, and Epic Truth (1994), and Eating Beauty: The Eucharist and the Spiritual Arts of the Middle Ages (2006). Joseph Wawrykow is professor of theology at the University of Notre Dame. An expert on thirteenth-century Scholastic theology, he is the author of God's Grace and Human Action: "Merit" in the Theology of Thomas Aquinas (1996) and The Westminster Handbook to Thomas Aquinas (2005). He is currently preparing a volume of translations in high medieval Christology. "Like many great spiritual writers, Bernard of Clairvaux had a number of works pseudonymously ascribed to him after his death. In Bernard's case the total is said to be as high as 177. In modern times we rightly value authentic works over pseudonymous ones, but this should not lead us to neglect the `pseudo-Bernard,' who has much to tell us about the saint's fame and the subsequent history of his ideas. This valuable translation provides readable and well-annotated versions of three pseudo-Bernardine meditative texts particularly useful for the religious formation of monks. It is a welcome addition to our knowledge of Bernard's afterlife and the history of the medieval monasticism." "Why should we know about texts once wrongly attributed to St. Bernard? The fact that some of them were extremely popular, while others were not or were in vogue only regionally suggests that readers looked beyond the name Bernard to the contents of the manuscripts. Lovingly translated and beautifully annotated, these works offer new and valuable glimpses into twelfth- and thirteenth-century religious mentalities."